Developers at 8sense have created a new back and posture sensor which has been specifically created to help you analyse and improve your sitting positions, movement and activity during the day. Watch the demonstration video below to learn more about the 8sense posture sensor launched via Kickstarter this week, with the aim of raising €25,000 for the team to take their design into production. 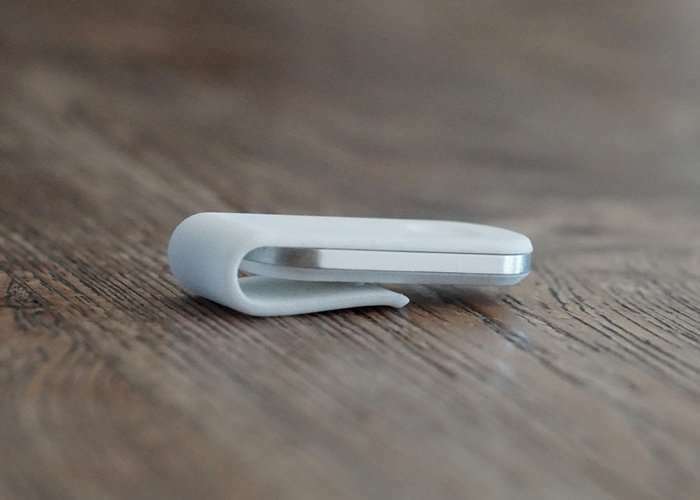 Supplied complete with its smartphone companion application the 8sense posture sensor provides real-time analysis allowing you to look after the health of your back and body, saying its creators who explain more about the new sensor below. Each new path carries a risk. If you develop a new product with many new functions and features, it can always lead to difficulties. But we believe that there is also a solution for every problem. Because of our experienced team, we are very confident on our execution of this project. We have already developed and designed severals working prototypes and tested them a lot. We solved most of the critical challenges (e.g. fast / real-time transmissions from sensor to smartphone). The miniaturized sensor is completely designed. We need now to manufacture the components. With your support, we´re very confident to reach the next step, so that we can deliver the 8th sense to your doorstep. Several physiotherapy centers have already started using the 8sense App (available on Playstore). They are also looking forward to receiving new possibilities in the treatment of patients. Our spine follows approximately fixed motion patterns. With the help of advanced movement analysis, we can determine most patterns with one single sensor at the top of your back. 8sense offers users information regarding his/her posture, movement and daily routine. The service does not constitute medical advice or professional service. The user should always consult with a qualified personal medical advisor. The device is not yet FDA approved.